Any Playstation gun con/ g con 2 controls. Must be working! 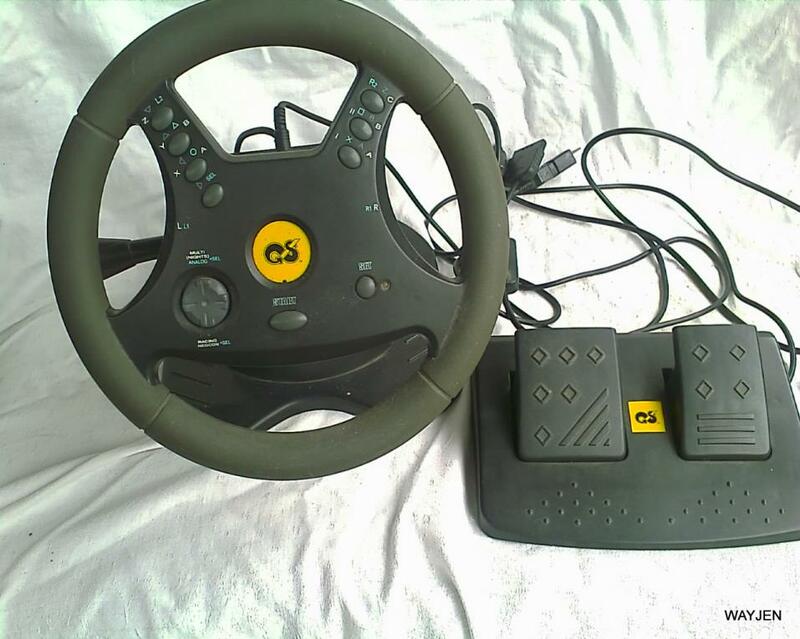 I have a steering Wheel and foot pedals on auction but have no idea what console they belong too and someone said they may be Sega stuff, would you know if they are or not? I have attached a picture. Mystery steering wheel and pedals! Thanks Gareth, much appreciated man. I have a Sega cartridge of Toy Story on auction is that something you looking for? was just reported to community watch for this even though I said it MIGHT be for Playstation 1 or 2 and thanks to Bennett (did I spell it right) i altered the description.